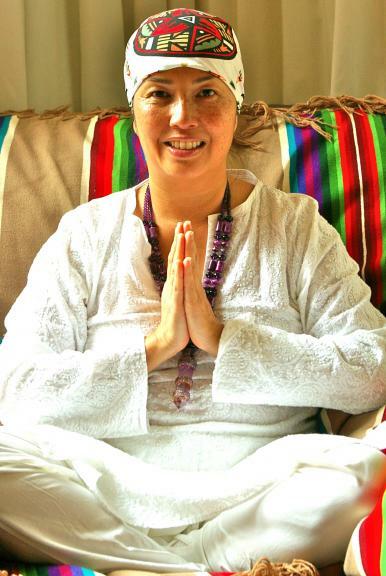 Sat Siri Kaur will lead us in a council circle, followed by an exploration of some of the spiritual teachings about sustainability which she learned from the local, maritime Chumash Nation. Council is the practice of speaking and listening from the heart. Through compassionate, heartfelt expression and empathic, non-judgmental listening, Council inspires a non-hierarchical form of deep communication that reveals a group's vision and purpose. Council offers effective means of resolving conflicts and for discovering the deeper, often unexpressed needs of individuals and organizations. Council provides a comprehensive means for co-visioning and making decisions in a group context. Council is about our personal and collaborative story. Sat Siri was raised in a household visited by traditional indigenous healers who imbued in her the respect of these sacred traditions. Her experience dealing with international business people, world diplomats, heads of state, renowned artists, celebrities and politicians gives her a unique perspective on various cultures and customs. She founded the Sacred Women's Circle and she leads groups in council circle in order to nurture their inner light and awareness for the greater good of their families, our communities, the planet and the universe. Sat Siri Kaur is the Blesser for the Blessing Ceremony at the 3HO Summer Solstice International Peace Prayer Day. As part of Sat Siri's respect for Mother Earth, she is a certified Permaculture Designer and shares her wisdom of Ethno-Botany. She is actively involved in educating people about sustainable land use design based on these ecological and biological principles. Sat Siri Kaur has been practicing yoga since 2000, and has been teaching the science and art of Kundalini yoga and meditation since 2005.